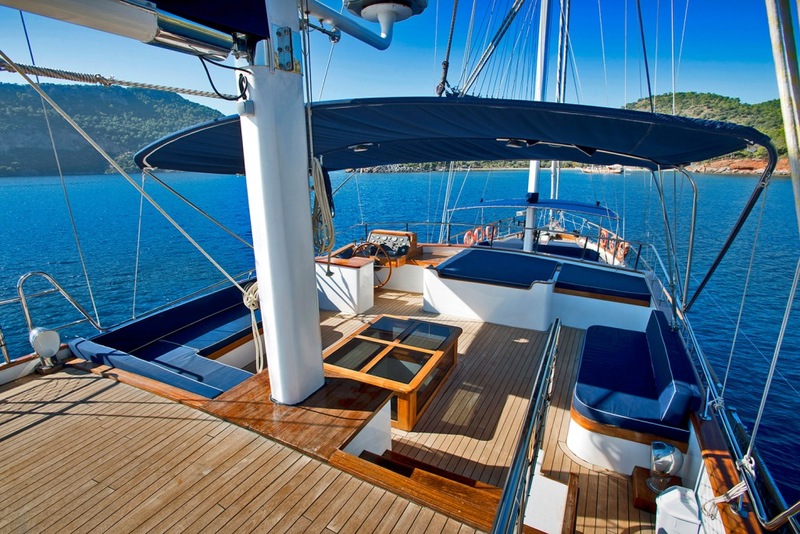 Sailing Gulet MASKE 2 was built in 2013 and is 30m (98,4ft) overall. 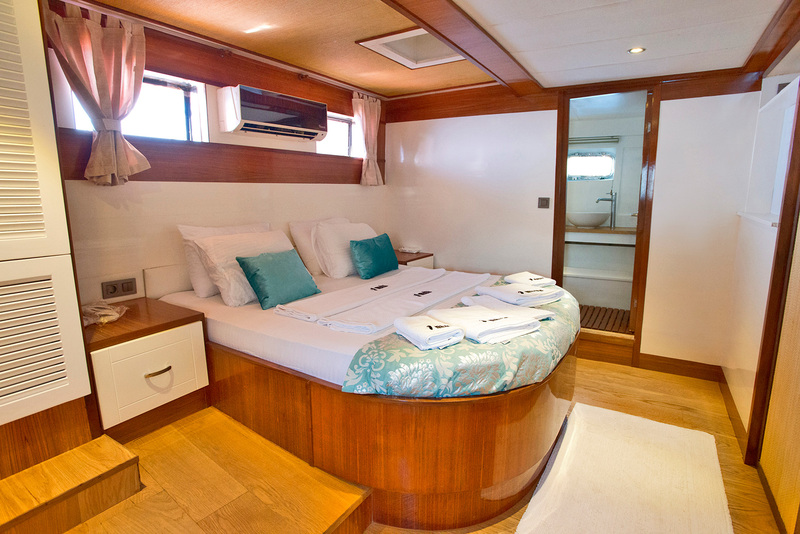 She offers accommodation in 6 deluxe cabins, for up to 12 charter guests. 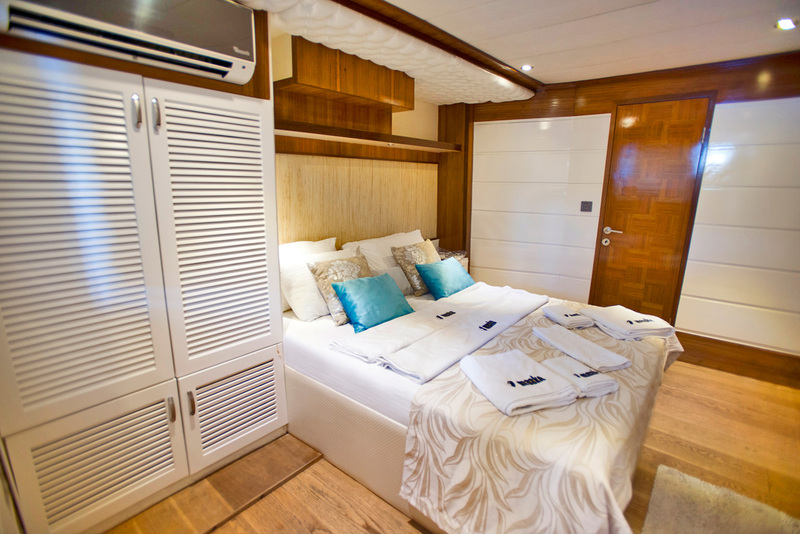 The yacht has generous interiors across 2 levels and large exterior deck space, ideal for a luxurious and memorable charter experience. 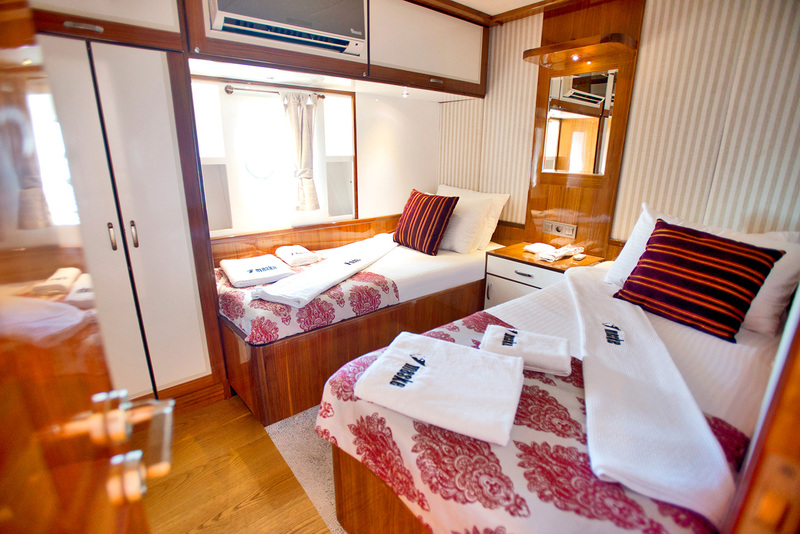 Relax and enjoy your holiday while 3 crew pamper you. 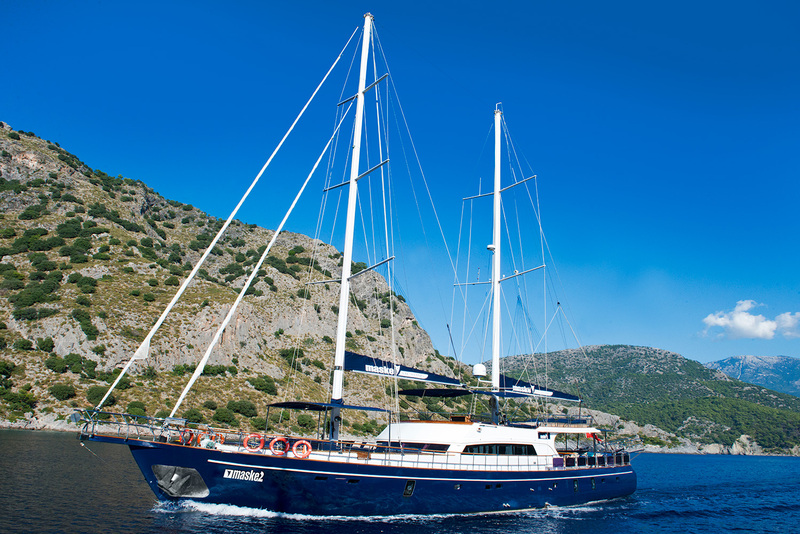 The ship ‘s chef will serve a variety regional and international cuisines, including any specific dietary requirements or request. 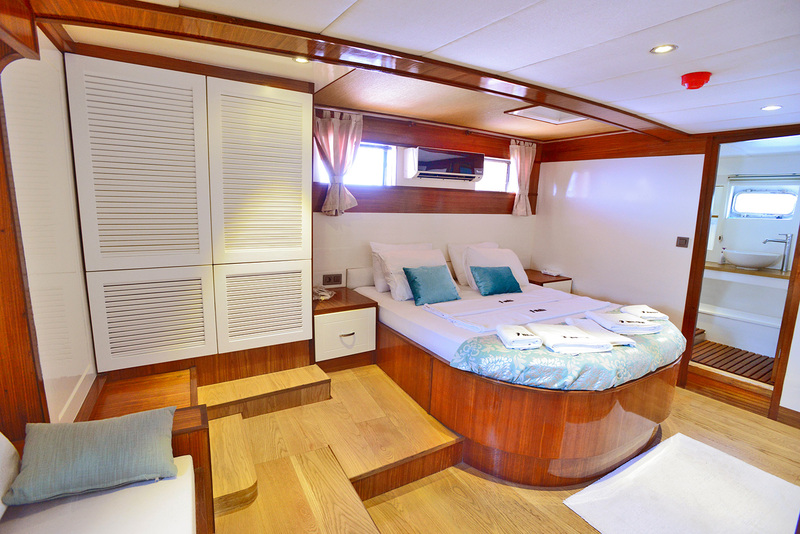 The interior decor throughout features a light modern design and is a real focal point aboard S/Y MASKE 2. 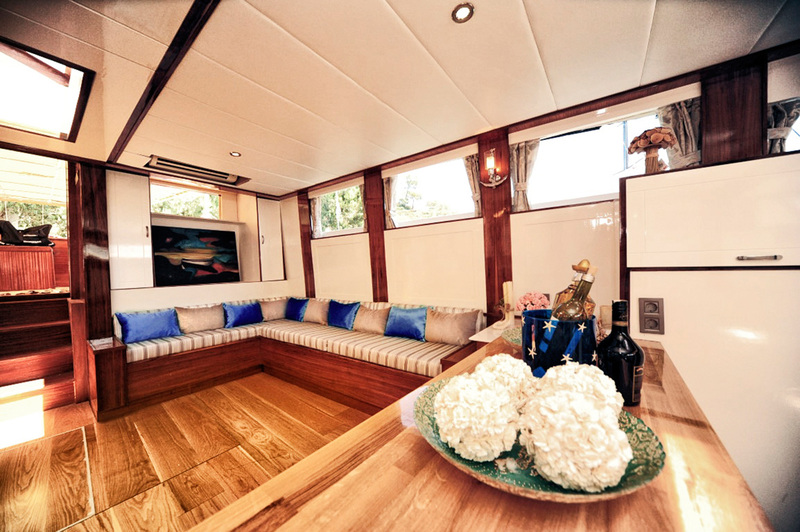 The salon on the upper level is set in a contemporary open plan, offering ample seating on 2 large sofas. 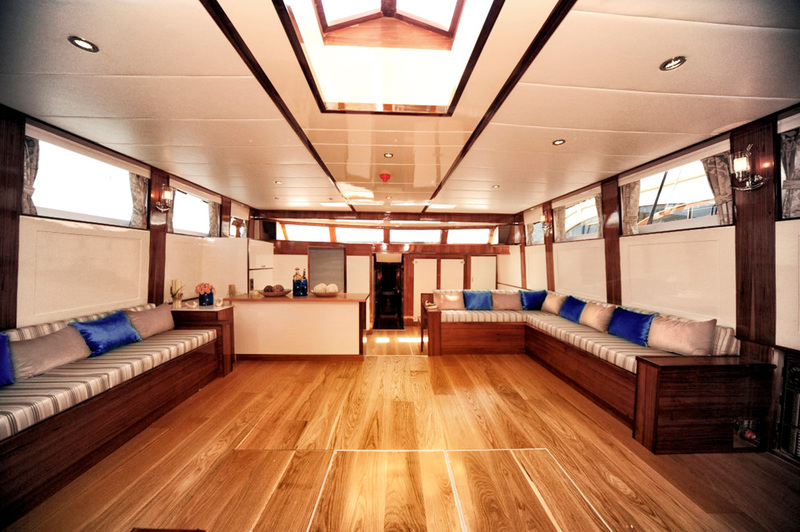 Wide planked wood floors compliment the light panels and create an exceptionally open and airy ambiance. 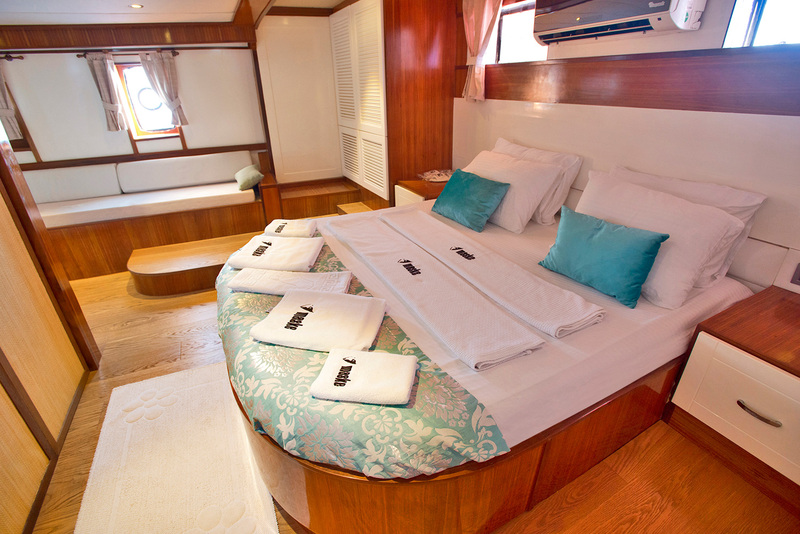 The lower deck has 6 generous guest cabins, each boasting private en-suite facilities. 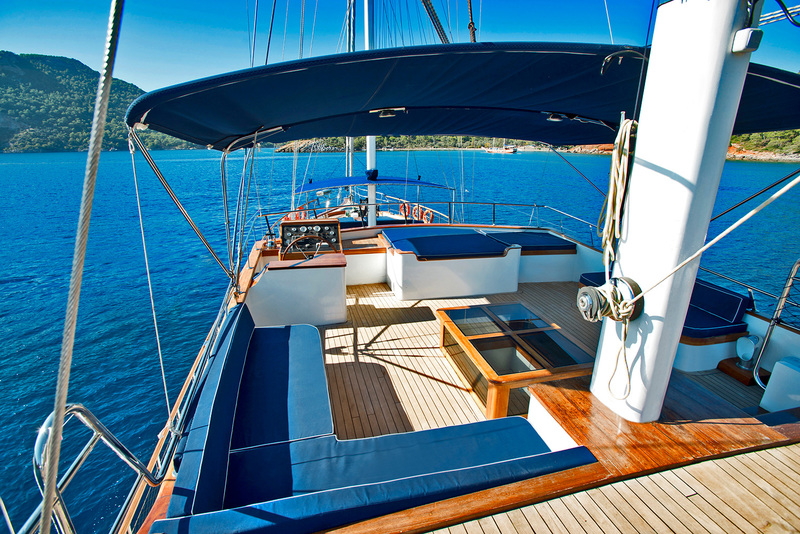 On deck guests will find a great choice of areas to soak up the sun, or unwind in the shade. 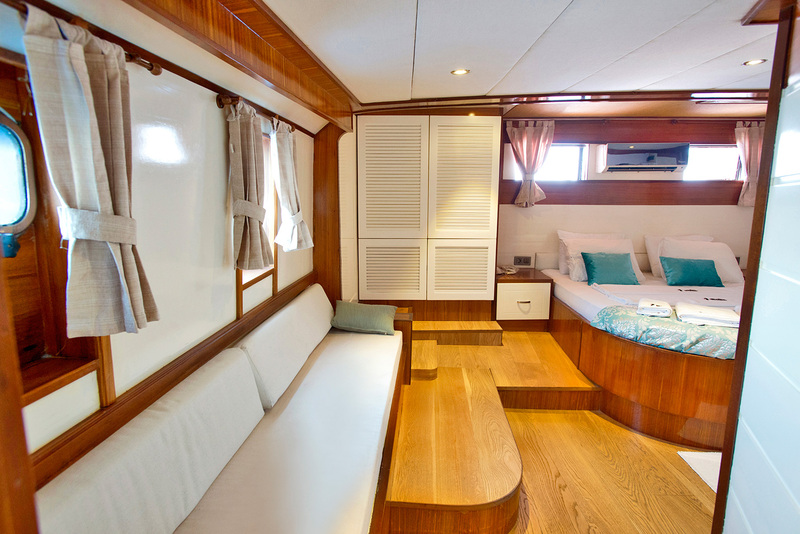 On the aft deck, an alfresco dining option, full beam aft sunpad and shade are perfect for entertaining. 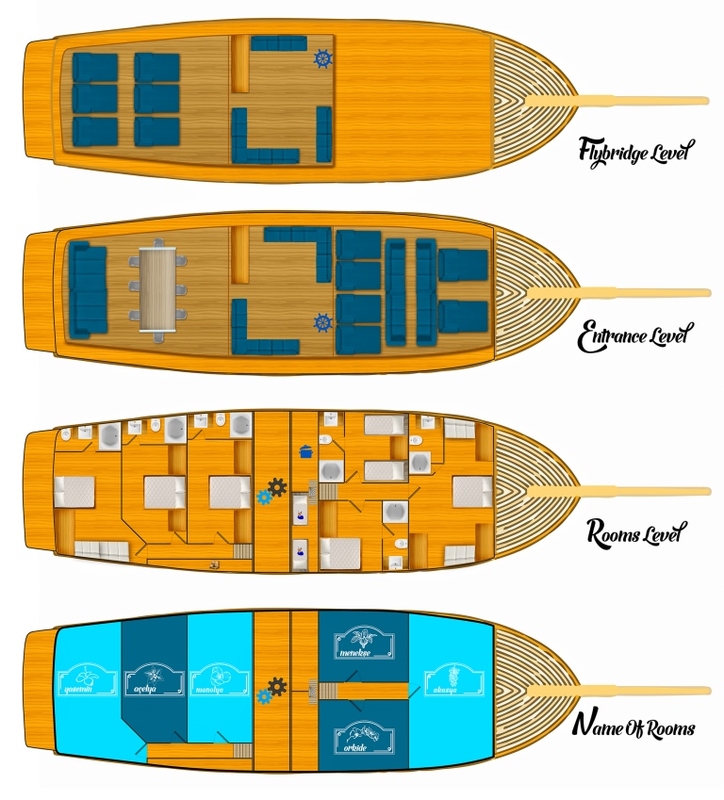 Side decks lead forward to the capacious foredeck and further sunpads, a Bimini is available for those wishing for shade. 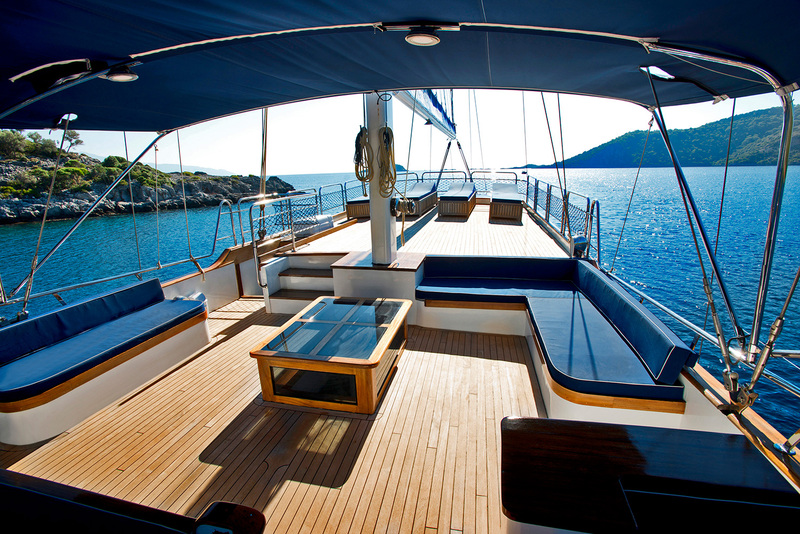 On the sundeck, guests can enjoy additional sunpads, seating, and spectacular views while at anchor or underway, thanks to fitted stainless steel rails. 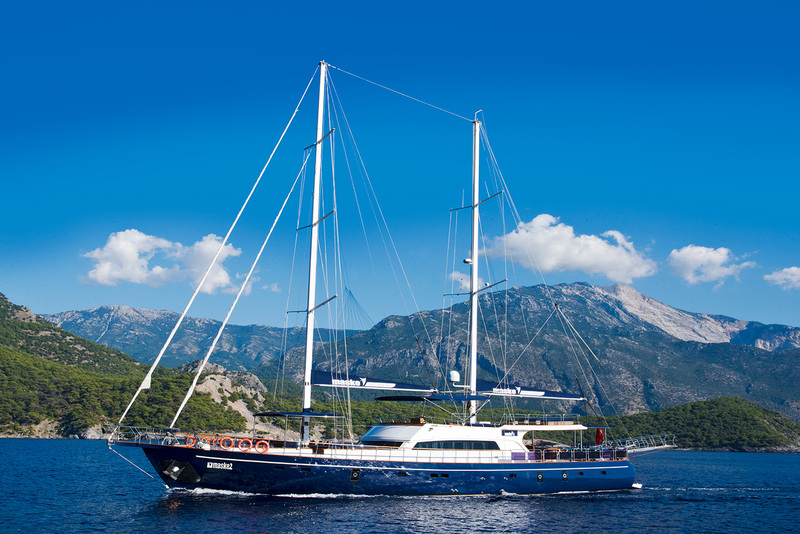 The yacht is powered by 2x 360 HP Iveco engines that produce a cruising speed of 11 knots. 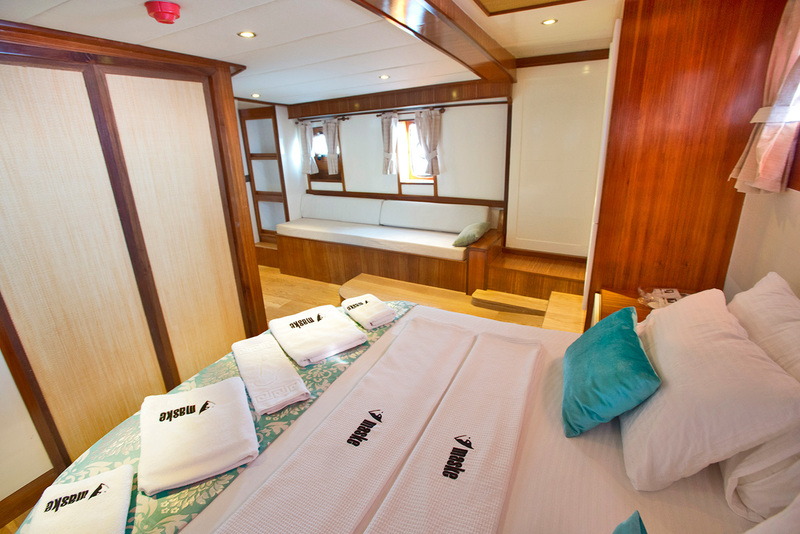 The cabins are situated on the lower deck forward. 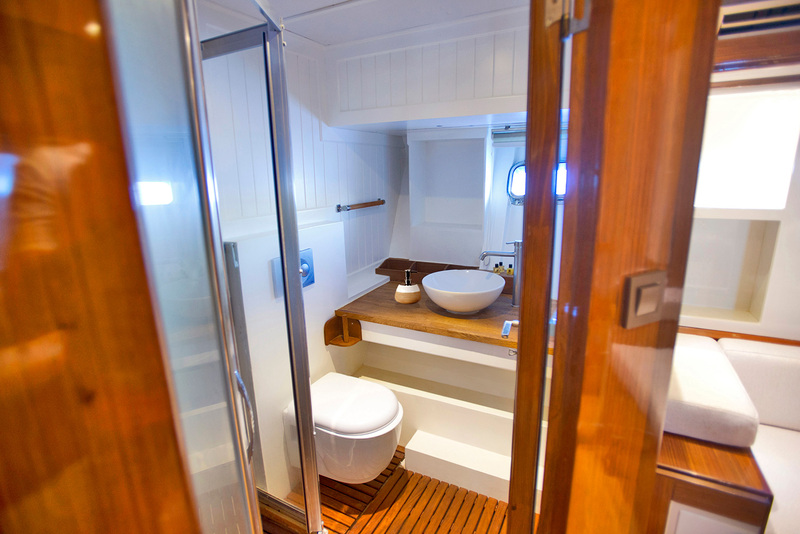 Stepping into each cabin, guests are immediately greeted by a sense of warmth, which is further enhanced by the use of embracing, soft colours and shades, that range from soft white to cream and alternate in the fabrics throughout the vessel. 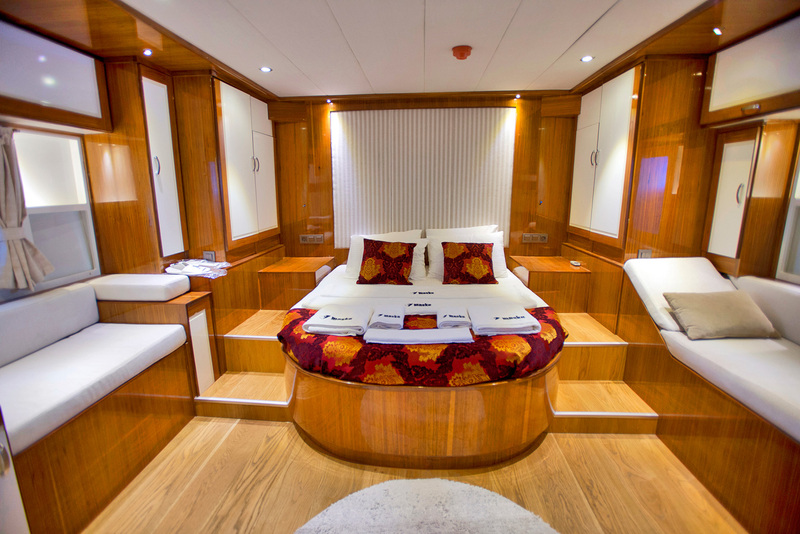 Roof lighting illuminates the floor area of the bedroom suites, which guarantees maximum brightness and privacy. 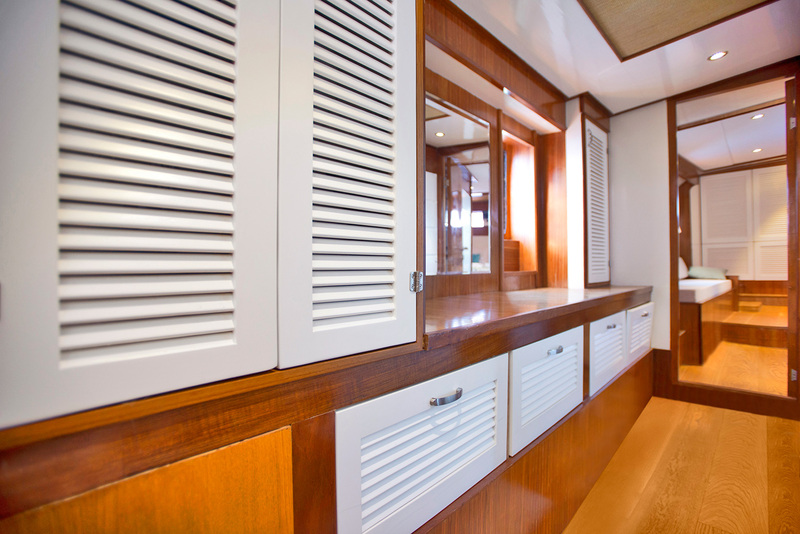 All cabins offer flat screen TV’s and air conditioning. 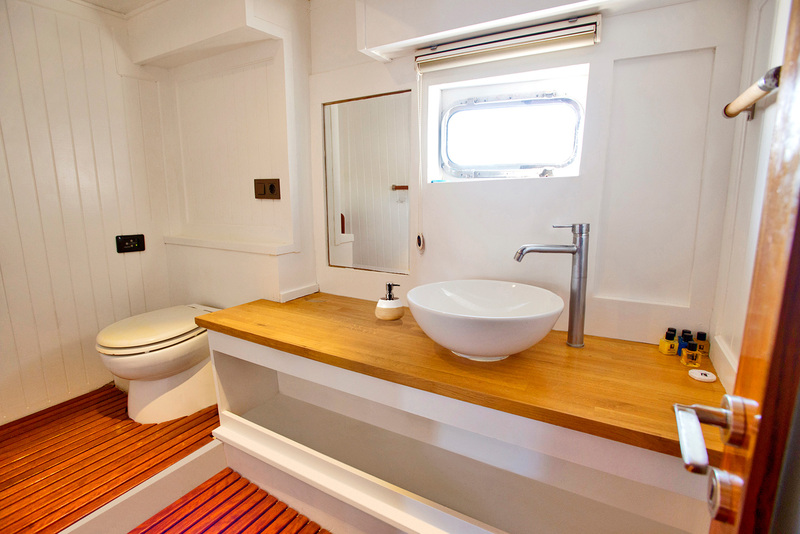 The en-suite facilities boast a skillful play of colours, interspersing warm oak woods and dark mottled stone flooring, creating a sophisticated and stylish feel. 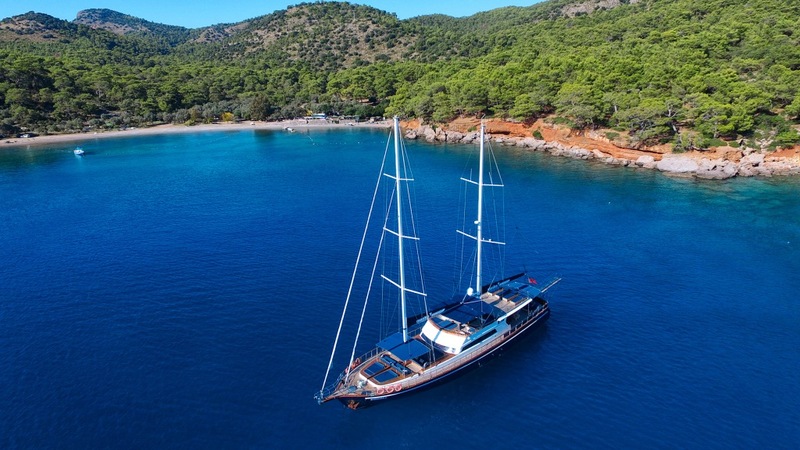 A gulet (Turkish pronunciation: [ɡuˈlet]) is a traditional design of a two-masted or three-masted wooden sailing vessel (the most common design has two masts) from the southwestern coast of Turkey, particularly built in the coastal towns of Bodrum and Marmaris.